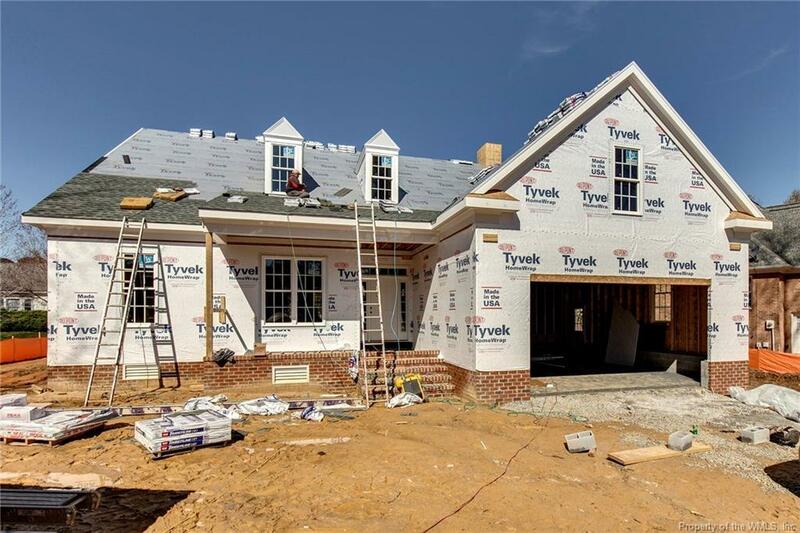 Exciting NEW home by Cason Custom Homes, known for their superior construction & details. The quality starts from the ground up with a sealed and conditioned crawl space to reduce humidity buildup to the insulated & conditioned walk-in attic providing tons of storage space. This home provides an open floor plan, a gracious exterior with a welcoming front porch & rear deck. The interior features amazing one level living with 3 bedrooms on the main floor, a huge walk-in pantry in the kitchen, built-inâs on either side of the fireplace and TWO MASSIVE (his and her) walk-in closets for the master bedroom. Don't miss the Navien tankless hot water heater with built-in re-circulation pump. Desired location near Williamsburg West entrance / exit and 199.